It’s 5am. While most people are tucked in their beds, Haddon’s eyes firmly are on the road ahead. 300 kilometres a week of gruelling climb and sprint training is not out of the ordinary for one of Australia’s rising track cycling starts. 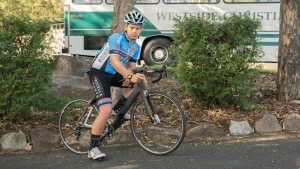 Between 24th – 27th February Haddon will represent Queensland at the Junior Track National Championships (JTNC). The aim of the JTNC is to provide competition for juniors, help them make the transition to elite racing and ensure the long-term future of track cycling within Australia and the growth of their high performance talent base. Westside Christian College congratulates Haddon on an outstanding achievement and we wish him all the best.